When discussing the topic of greatest Chicago Bears draft bust ever, most consider the same string of names. Some say it was Cade McNown in 1999. Others say David Terrell in 2001. History buffs claim Bob Williams way back in 1952. 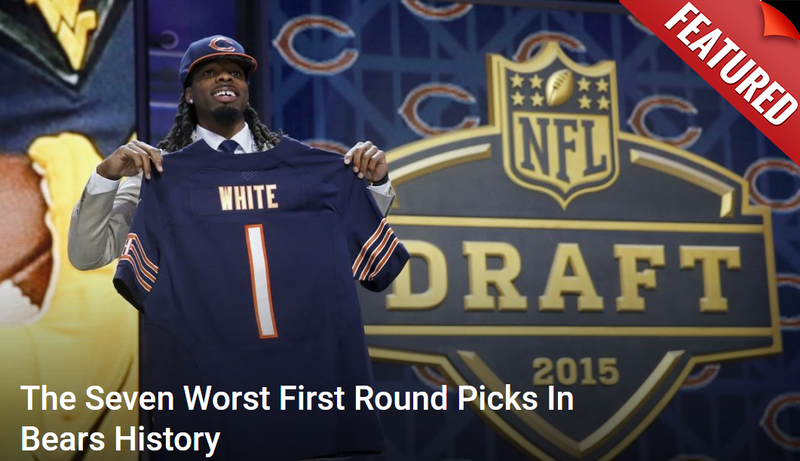 Most will probably say Kevin White in 2015. All have a case to make. Yet it’s amazing how many people forget Stan Thomas. The Bears offense line was aging and starting to crumble by 1991. They needed to start refueling it with some young blood. Team president Michael McCaskey had eyes for the Texas tackle due in large part to his impressive size and movement skill. It was also apparent though that he was raw in several areas and had some character concerns. Head coach Mike Ditka was vehemently against taking Thomas and made it known several times leading up to the draft. McCaskey ignored him and selected Thomas 22nd overall in the 1991 draft. Thomas made it just two years in Chicago. During that time he got into a shouting match with Ditka on live television, got arrested for DUI, and walked out of training camp when he refused to enter rehab. The Bears finally traded him to Atlanta by the end of 1992. It was a disastrous pick in every sense and contributed to their slide into irrelevance during most of the decade. Recent information has since come out to prove it was always doomed. Apparently time has proven the Bears picked the worst possible time to begin rebuilding their offensive line back then. Bill Barnwell of ESPN recently compiled a list of the best drafts ever at each position group in the NFL, along with the worst. It turns out the offensive line class of 1991 earned the dubious honor of being the least successful in league history. It seems the Thomas pick was a mixture of bad timing and bad evaluation on the Bears’ part. McCaskey was already in the process of seizing greater control of the team. Ditka was fired after the next season. The Thomas pick felt like a clear power play. One that the franchise ended up paying for. If they’d had their wits about them, they might seen a young Brett Favre was there for the taking. Or maybe big defensive tackle Ted Washington or a new running back in Ricky Watters. This draft, if nothing else, proves why drafting for need can be dangerous. Sometimes the class won’t be able to oblige.